So warns Michael Snyder (theeconomiccollapseblog.com) in edited excerpts from his original article* entitled The Most Important Number In The Entire U.S. Economy. interest rates throughout the entire economy go up and this causes economic activity to slow down. On top of everything else, there are more than 440 trillion dollars worth of interest rate derivatives sitting out there, and rapidly rising interest rates could cause that gigantic time bomb to go off and implode our entire financial system. We are living in the midst of the greatest debt bubble in the history of the world, and the only way that the game can continue is for interest rates to stay super low. Unfortunately, the yield on 10 year U.S. Treasuries has started to rise, and many experts are projecting that it is going to continue to rise. On August 2nd of last year, the yield on 10 year U.S. Treasuries was just 1.48%, and our entire debt-based economy was basking in the glow of ultra-low interest rates but things are rapidly changing. On Wednesday, the yield on 10 year U.S. Treasuries hit 2.70% before falling back to 2.58% on “good news” from the Federal Reserve. Historically speaking, rates are still super low, but what is alarming is that it looks like we hit a “bottom” last year and that interest rates are only going to go up from here. This rise in interest rates has been expected for a very long time – it is just that nobody knew exactly when it would happen. Now that it has begun, nobody is quite sure how high interest rates will eventually go but Bank of America Merrill Lynch’s head of global technical strategy, MacNeil Curry, sees yields getting back to the 2.70% level in the short term, and then some. “In the next couple of weeks to two months or so I think we’ve got a push coming up to the 2.85, 2.95 zone,” he said.. For some very interesting technical analysis, I encourage everyone to check out an article by Peter Brandt that you can find right here. [A significant rise in interest rates]… is very bad news for stocks. The chart below…shows that stock prices have generally risen as the yield on 10 year U.S. Treasuries has steadily declined over the past 30 years…When interest rates go down, that spurs economic activity, and that is good for stock prices, so when interest rates start going up rapidly, that is not a good thing for the stock market at all. The Federal Reserve has tried to keep long-term interest rates down by wildly printing money and buying bonds. Even the suggestion that the Fed may eventually “taper” quantitative easing caused the yield on 10 year U.S. Treasuries to absolutely soar a few weeks ago so the Fed has backed off on the “taper” talk for now. What happens, however, if the yield on 10 year U.S. Treasuries continues to rise even with the wild money printing that the Fed has been doing? At that point, the Fed would begin to totally lose control. Bill Fleckenstein…believes that we could see the stock market suddenly plunge by 25%..
Of much greater concern than a stock market crash is the 441 trillion dollar interest rate derivatives bubble that could implode if interest rates continue to rise rapidly…. Just imagine what would happen if a life insurance company wrote millions upon millions of life insurance contracts and then everyone suddenly died….It would go completely broke of course. Well, that is what our major banks are facing today. They have written trillions upon trillions of dollars worth of interest rate derivatives contracts, and they are betting that interest rates will not go up rapidly – but what if they do? The truth is that interest rates have a whole lot of room to go up. The chart below shows how the yield on 10 year U.S. Treasuries has moved over the past couple of decades. As you can see above, the yield on 10 year U.S. Treasuries was hovering around the 6 percent mark back in the year 2000. Back in 1990, the yield on 10 year U.S. Treasuries hovered between 8 and 9 percent. If we return to “normal” levels, our financial system will implode. There is no way that our debt-addicted system would be able to handle it. Watch the yield on 10 year U.S. Treasuries very carefully. It is the most important number in the entire U.S. economy. If that number gets too high, the game is over. 3. What Will Happen When the Fed Finally Ends Its Extreme Easing Efforts? 14. What Will Cause Interest Rates to Rise? Will That Be Good or Bad? 15. 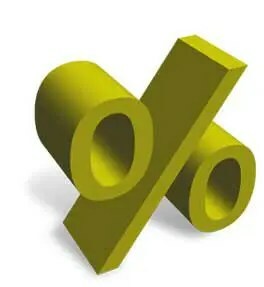 A Rise in Interest Rates Would Derail An Economic Recovery – Yes or No? 18. Alf Field: Will Derivative Losses Be Black Swan Event Propelling Gold to $4,500? We will soon see a situation where the government will make money on its own (pun intended) junk paper bonds because they and the Ultra Wealthy will be the only ones buying them. As wealth gets concentrated in ever fewer people they will cause the charts to reflect ever smaller numbers of larger transactions, which can then be used to “game” the charts.